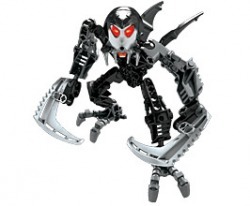 Leader of the shadow Matoran, Gavla’s hatred for her own people makes her a formidable enemy. 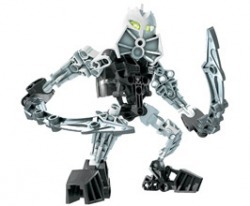 She fights the Matoran of Light as much because she enjoys it as because she has been ordered to. 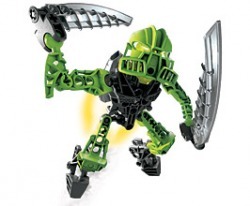 Former leader of the Matoran of Light, Kirop has become their most dangerous enemy because he knows everything about all of them. He dislikes Gavla because she has been given the authority he feels should have been his. Photok is a warrior who has been longing for something to fight for millennia. 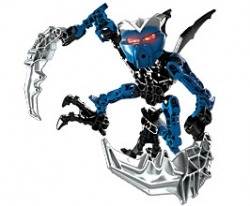 He is impatient to take the battle to the Brotherhood of Makuta and feels Tanma is too cautious. He was best friends with Radiak and now the two often clash. 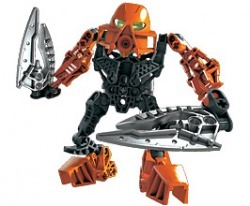 Tanma is the leader of the last remaining Matoran of Light. He has grown into the job, learning to make the hard choices in the short time Karda Nui has been besieged. 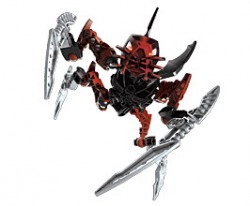 Brave, but not foolish, and wise enough to know the Matoran have to strike and run away if they are going to survive.